How do I size a charcoal gasifier for a Honda Goldwing? - Charcoal Gasification - Drive On Wood! How do I size a charcoal gasifier for a Honda Goldwing? I’m starting the design process for a charcoal gasifier for a 1983 Honda GL1100 Goldwing. The engine is rated for ~80 hp, and is 1083cc of displacement. Do we have any rules of thumb in the community for sizing based on displacement or hp? Has anyone worked out the proper ratios of air inlet and/or combusted surface area to total system size? Is there somewhere in the library where the advancement of gasifier design is shown, ie Gary’s Simple Fire to Kalle and beyond? I look forward to sharing the fruits of these efforts with the community. This is the spreadsheet i did build for the nozzle sizes. If you see what nozzle size is giving you the best results, then ad that number and you’l see the airspeed. 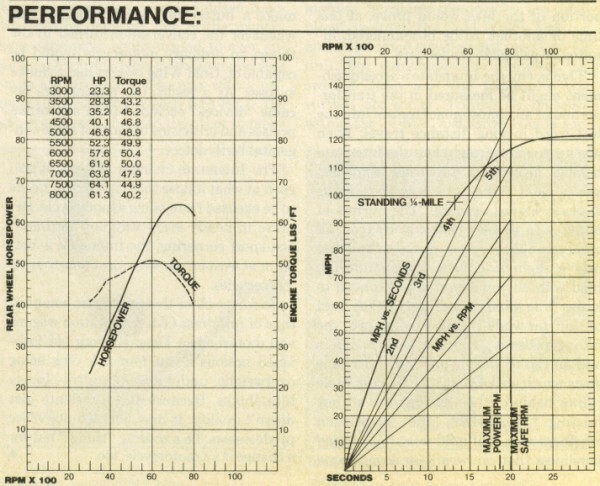 Then ad that number at the desired airspeed and hoppla, you have your sizing. I appreciate it Bruce. For some reason, I’m getting a 404 error when I go to the site. Sorry about that. Just navigate to the post: under Categories go to Charcoal Gasification then to Nozzles for Charcoal gasifiers then to post 117. 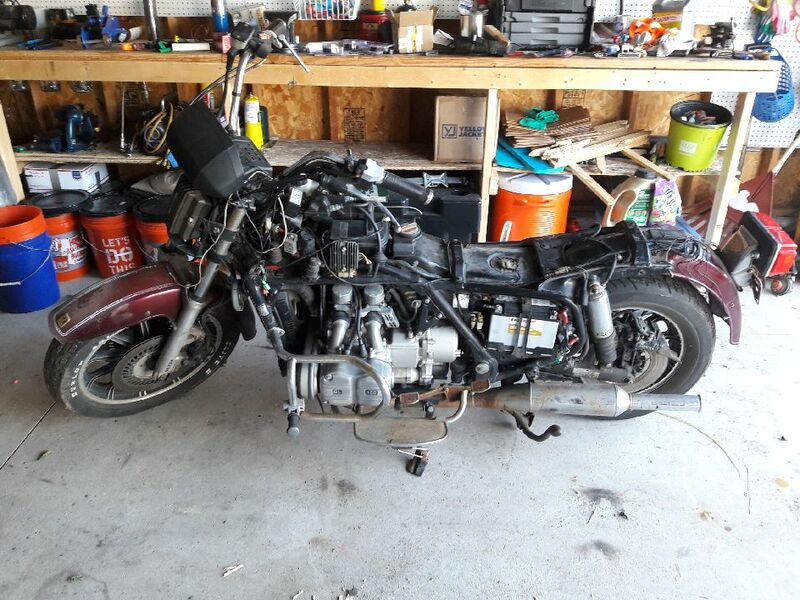 Hi Preston, Gasifiy a Goldwing! Go for it! Are you mounting the gasifier on the bike or tow it on a trailer? What kind of range do you want? What is the smallest size diameter of the air intake taking the current gas/air mixture into the Honda engine? This is a constraint if you keep the carb (I’m assuming a Goldwing has a carb) on the bike. Your chargas piping should be as large or larger than this area. Do you plan to dual fuel the bike? (gasoline or chargas) A 1000cc engine should be using at least a 1" nozzle but I’d feel better with a 1.25" on. Anxious to hear more. Gary! I’ve been following Wayne’s work for years, and only stumbled on your videos in the last few weeks. Your work with charcoal served as the inspiration to push me over the edge into action. The Charwing will be a dedicated chargas motorcycle. 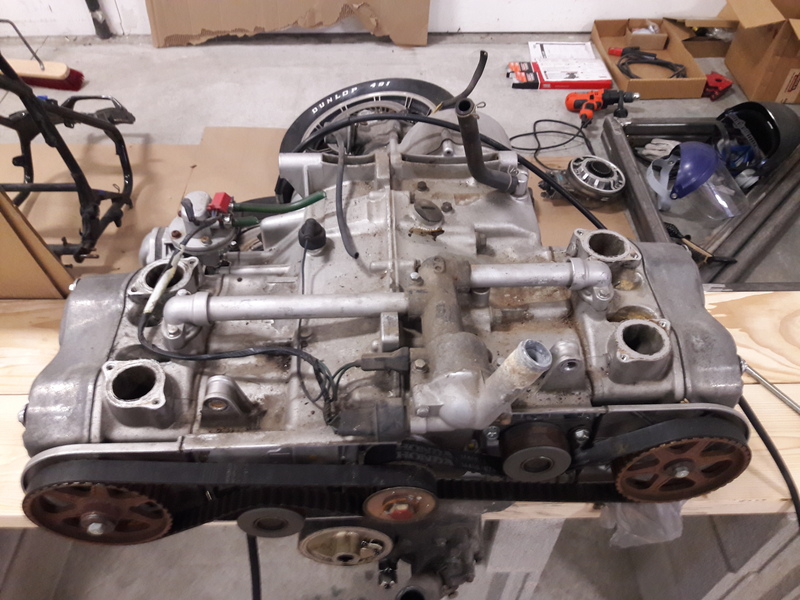 I’ve removed the gas tank, lines, and carburetor. I’m keeping the carb manifold though. I just measured the manifold risers and they have an ID of 1 3/8". As far as range, I’m content with 30-50 miles while we’re figuring this out. I’d like to mount it on the bike, and am still toying with where. 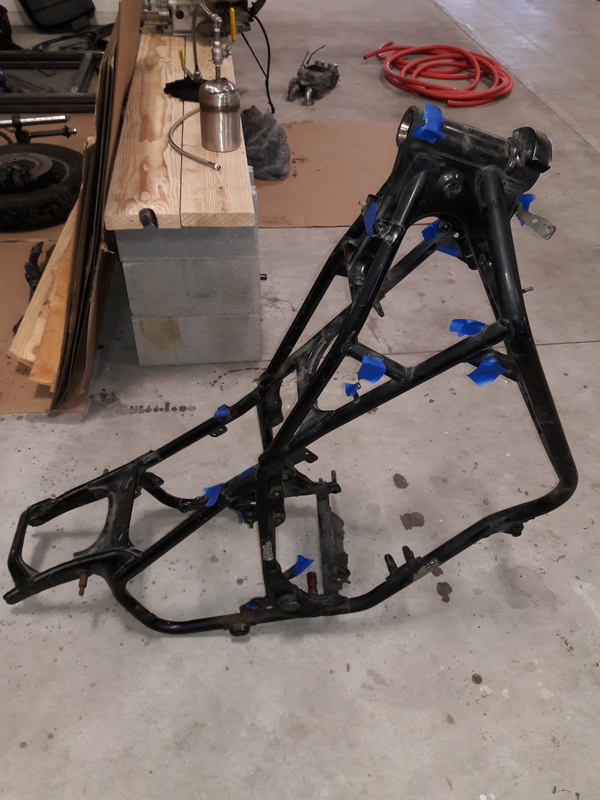 I’m making a “naked Goldwing”, but it’ll have tons of room to hang the components on. My thinking is to build a manifold to feed from 1 line into the four risers on each cylinder right after the throttle valve and air mixer. Also wondering if any one has ever tried putting an elbow on the air intake of an updraft gasifier like the SimpleFire and running a perforated tube vertically through the gasifier for more reactive surface area or is there a downside to this that I’m missing? This is going to be so much fun! Keep talking with Gary. He just has a feel for this stuff. The rest of us will chime in as things start to take shape. For what it is worth, think about using a piece of stainless steel insulated chimney pipe for your reactor body. It comes various diameters and lengths and looks great. I think 12" OD (10" ID) X 4’ would look pretty good on the bike. Leave the insulation and inner flue at the bottom in the reaction zone. Cut out the inner flue in the upper part of the pipe to increase the fuel carrying capacity and to give some cooling. Add a matching pipe on the other side for a filter. You may not be a chrome guy and already have a cool design and paint job in mind? Your pictures got me all excited for you. Truthfully, I’m not much for chrome or paint. I’m going to just sandblast the frame and clearcoat it. Are y’all aware of anyone running a twin gasifier setup before and what dynamics/issues might crop up? Sandblast with clearcoat sounds great. And twin reactors, why not? I think Don has twin cyclones. Keep those pictures, and questions coming. There are some smart guys on DOW that will help you figure stuff out. I can hardly wait to see what you come up with. Good looking bike charwing project, i have a honda 750 i could charfuel, i will be watching your designs, Good fab fun. I appreciate it Koen. Link worked great. I’ve been voraciously watching your videos. Thanks so much for all the work you’ve done. Is the simple updraft design still suiting your needs? Is there even a reason to consider downdraft with charcoal? I just saw this thread, this is gonna be amazeing! What rpm does this bike like to drive on? This is realy inportant for your later designing. I am a fan of vertical thick metal pipe nozzles. They worked perfect for me for years. Check my Seat Arosa thread, charcoal powered Mercedes Benz thread, or Bruce Southerlands MG, he uses the same kind of nozzles, only his is copper and mine are steel. This kind of a nozzle alows you to make a wider, narrower and LOWER updraft gasifier. I think it will be best for your needs. Say you want 50 mil range. Thats 5-10 gal of charcoal roughly, just to give you a idea of the size neaded. Twin gasifiers, why not? However l wuld go with a gasifier on one side and a fuel tank (char) on the other side. The reason is two gasifiers will never have the same draw. A slight ash resistance might overpull the other fast. 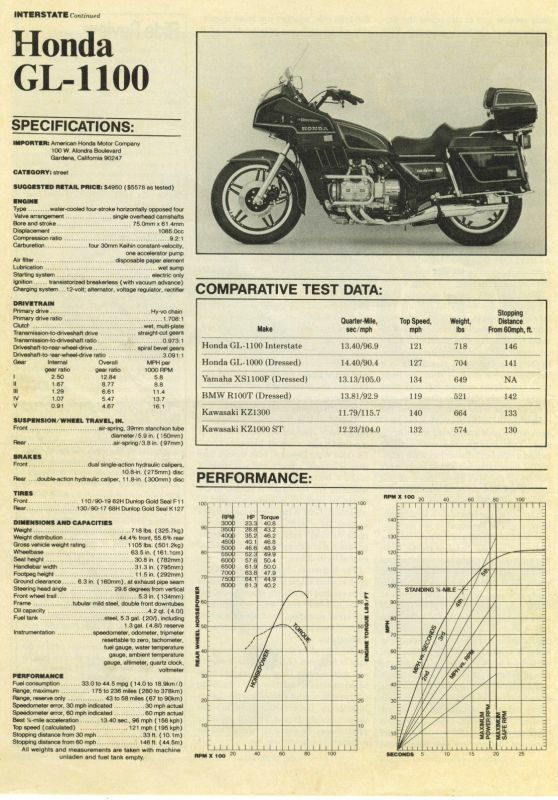 Here’s the performance data for the GL1100. The Charwing is naked, and about 150 lbs lighter than a stock Aspencade (~550 lbs vs 700ish). Yeah this might be a miner problem. High speed engine. Chargas likes it slow. You might need water injection on this sistem. Water produces hidrogen in contact with glowing char and the hidrogen is the high speed fuel. But thats just a adition, your ride will roll on EGR alone, but water will give you better acceleration. I have a char powered 2 stroke moped and its preety dead without water injection, mainly becouse it drives on quite high revs. Again not the same thing, you have 20 times more displacement. I have to admit that I’m skeptical that our reactor cores are hot enough to crack all the water vapor flowing into it. The data here: https://en.wikipedia.org/wiki/Water_splitting#Thermal_decomposition_of_water seems to suggest that at 900-1000*C, very little water would be cracked, if any. This is only one source, and it’s worth rooting out peer reviewed studies to check these numbers. It makes me wonder why we choose to use water/steam injection if we find that condensers are necessary downstream. To your point though, if hydrogen is necessary, then waste oil injection seems to be the answer. Wrong Wikipedia article. Try Water gas shift reaction. What l mean to say is water doesent thermaly decompose in a charcoal gasifier, it chemicaly reacts with carbon produceing H2 and CO. Both are benefitial. Thanks for the correction. I’ll do some digging on the water gas shift reaction. Hello Mr. Smith and Welcome to the DOW. What will be the daily duties of the Goldwing and what type of environment will you be riding it?